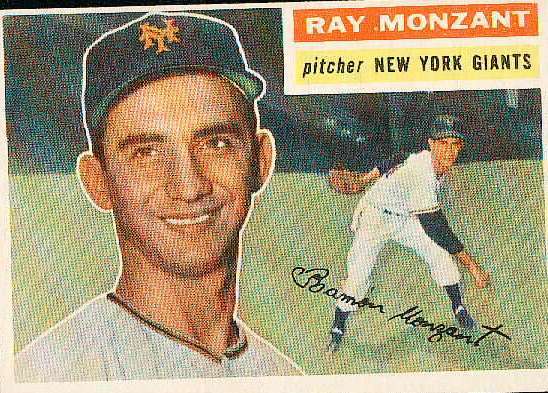 Ramon Monzant was born on January 4th, 1933 in Maracaibo Zulia Venezuela. 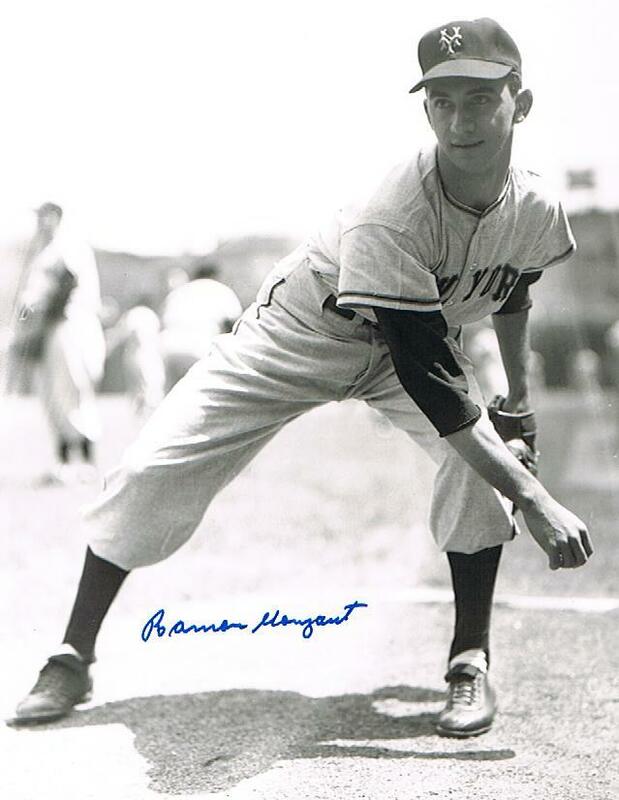 The six foot right handed pitcher was signed by the New York Giants at age 18 becoming the second pitcher from Venezuela to make the big leagues. In 1953 he was 23-6 in the Carolina league at Danville. The next year he was 11-7 at AAA Minneapolis getting called up to the Giants big league team in July. He pitched in six games before getting demoted back to the minors at the end of the month, as the Giants went on to win the World Series. In 1955 he started out the year at AAA Minneapolis getting back to the Polo Grounds by early June. He got the start against the Chicago Cubs and allowed three runs in three innings taking the loss. In his next start he went seven innings and took another 2-0 loss to the Cubs in Chicago. At the end of the month he took another loss in a start & then was beaten in the 11th inning by the Brooklyn Dodgers at Ebbetts Field. On July 6th he earned his first career win, it came in relief at the Polo Grounds against the Philadelphia Phillies. At the end of the year he earned two more wins in September including a complete game three hit victory against the Pittsburgh Pirates in the second game of a double header. On the year he was 4-8 with a 3.99 ERA in 28 games. 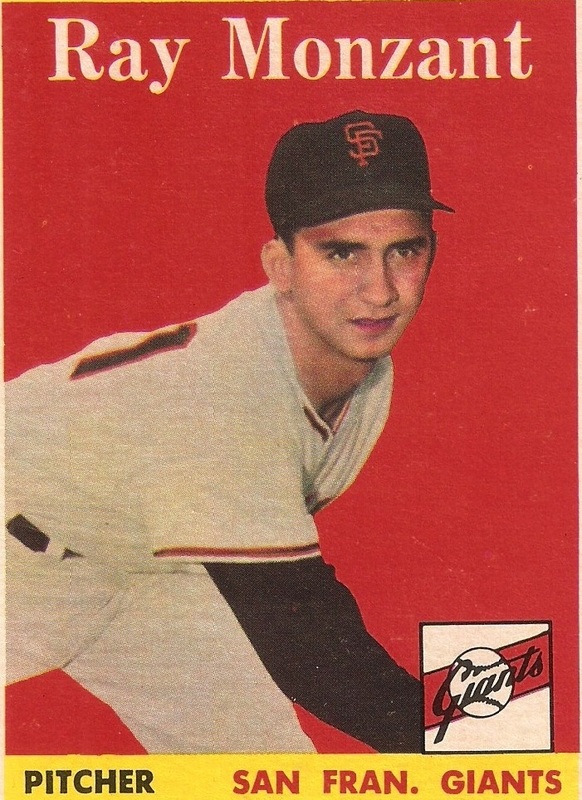 In 1956 he only pitched four games with the Giants going 1-0. In the Giants last season in New York Monzant was 3-2 in 24 games. 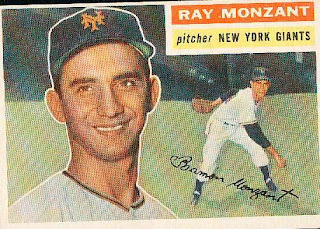 In the last game the Giants ever played at the Polo Grounds, Monzant took the mound in the 9th inning with the Giants down 8-1. He allowed a HR to John Powers and was the last Giants pitcher to leave the mound. In 1958 he moved west with the Giants to San Francisco and pitched in the first night game ever played on the west coast. He allowed four runs in 2.2 innings pitched taking the loss against the Los Angeles Dodgers. He came back to win his next two decisions, including a shut out of the Chicago Cubs where he struck out Ernie Banks three times. In May evened his record at 3-3 after a complete game win over the Dodgers. For the year he pitched in a career high 43 games going 8-11 with a 4.72 ERA & a save. He did not pitch in 1959 & mad one final appearance in 1960. Overall in his career he was 16-21 with a save posting a 4.38 ERA while striking out 201 batters while walking 134 batters pitching in 316 innings over 106 games. In the minors he pitched for six seasons & was 61-25 with a 3.18 ERA. 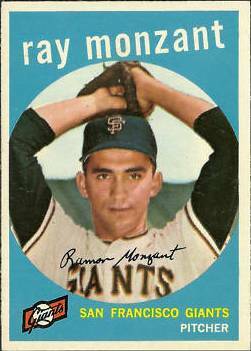 Passing: Monzant retired back in Venezuela where he passed away in 2001 at age 68.